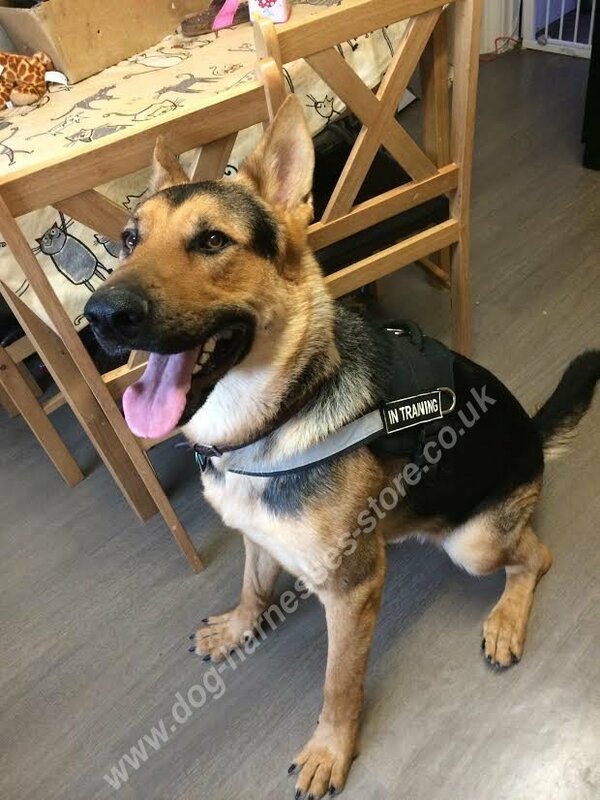 This German Shepherd harness is an all-purpose dog equipment for walking, professional training, exercising, K9 and service work. 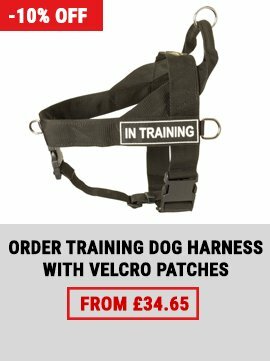 This nylon dog harness is very comfortable, super durable and absolutely safe for your dog. Moreover, your Shepherd will be visible in the dark due to the reflective strap. 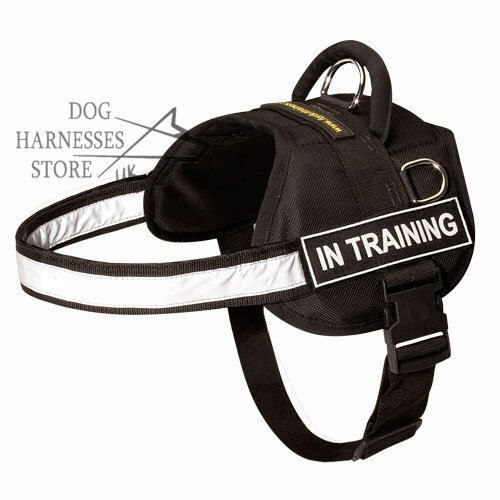 This reflective dog harness will satisfy even the most exacting customer! 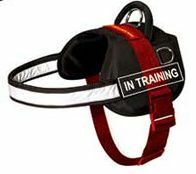 This reflective dog harness is made of super strong and water-resistant nylon. The GSD harness is 2 ways adjustable to get a perfect fit for your German Shepherd. 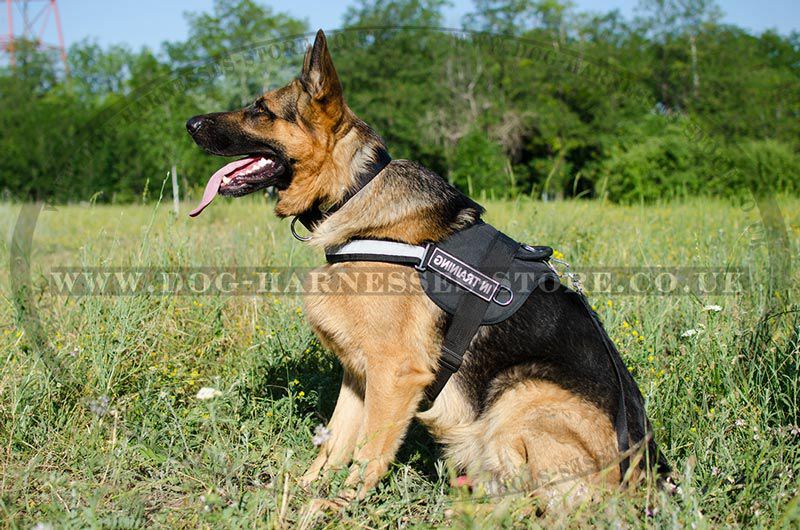 Nylon dog harness is equipped with 3 solid D-rings for dog lead fastening and for pulling work. 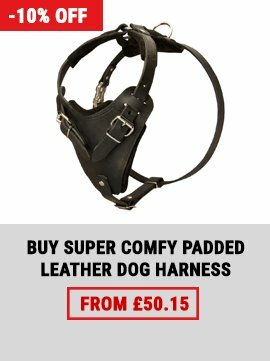 Quick-released plastic buckle allows you to put on, take off this German Shepherd harness using just one hand. 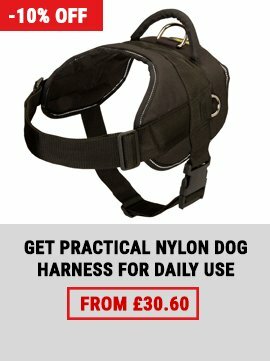 Ergonomic nylon handle will help you to control your dog in public. 1. I received the harness today. It fits him well, with room to grow also. Thank you for getting back to me. Have a wonderful day.